Well, perhaps love is a strong word for it, but in recent weeks three fax-related things happened that made me see the good old fax in a more positive light. First, a particularly bad case of fax fury at work stirred up something unexpected: lots of hilarity and bonding over people’s shared exasperation over the way the telefacsimile, first patented in 1843, is still used. Especially over the widespread insistence by various entities in the UAE that messages, no matter how short or urgent, must be faxed (see 9-step process below). Second, I came across a collection of legendary faxes from the 1990s, including seminal rants by Iggy Pop, Axl Rose and Camilla Paglia vs Julie Burchill. Third, I realised that fax trouble is one of those universal levellers, like child-rearing and near-nervous breakdowns at Ikea, which unite the human race. I have a soft spot for those. It's true, fax snafus can – and do - befall all kinds of people, even millionaire American football champs. So, no matter how many times people proclaim the death of the fax machine or ask you to kill your fax machine or sing a song about fax machines of death, it might be best to make peace with the fact that the fax isn’t going anywhere; at least not for the foreseeable future, certainly not in emerging economies and definitely not in Japan. As a journalist in the UAE, it is still common to be asked to submit questions by fax, ideally stamped and signed by the highest-ranking editor you can possibly get involved. The usual suspects, IE government offices, parastatal entities and industry bodies, are especially fond of such name-dropping protocol faxes. It is difficult to put into (polite) words how frustrating this can be, especially when you are in a rush. Never mind all that new-fangled technology and talk of openness. Even for a happy-clappy fluff piece, the protocol of communicating with members of the press still dictates that a lowly messenger (such as myself) can only gain entry to the palace (access to a source or information) by presenting the palace guardian (usually a middle-aged civil servant) with a sealed letter of passage from the feudal lord (editor-in-chief). After a period ranging from a day to up to several months, one may or may not be granted access/information. You try to call the office, but find that the number listed on the industry body’s website is not working. After finding the up-to-date contact details (a separate 9-step process), you finally get through, but are told that the person authorised to talk to you is not there. You leave a message with the secretary and also send an email highlighting that a.) it is urgent and b.) the news story in question is an opportunity to highlight the good work of the industry body. Successful use of b.) sometimes allows you to skip step 4. No response. You wait. In the afternoon, you call the secretary to see what is going on, but are told that the spokesperson is very busy. You wait. In the late afternoon, you call again and are told that the spokesperson will get back to you soon. The day passes. The next day, you call again and are told the spokesperson is looking into it right now. You might even get in your car and drive over to the office, to egg things on a bit. As your deadline gets closer, the secretary’s tone becomes ever more sympathetic and optimistic. Two hours before your deadline, the phone rings. It’s the secretary, telling you that he/she finally spoke to the spokesperson, whose long-awaited response is... to request an ‘official letter’, stamped and signed by your supervisor. It may be delivered by mail or, since it is urgent, fax. You supress the urge to ask whether Pony Express or carrier pigeon would also be acceptable delivery methods and submit your piece, without any mention of the industry body. About two weeks later, you receive a few bits of information, miraculously, by email. From then onwards, the industry body contacts you regularly (by email, text message and phone) to inquire when you are finally going to use their material. This is probably one of my least favourite parts of my job. If you also suffer from occasional fax fury, consider adding the following two steps. Just to take the edge off a little. United by your annoyance about steps 1 to 7, you and your colleagues enjoy endless opportunities to roll your eyes meaningfully, while moaning about faxes and their fans. Take solace in some of the great faxes of the 1990s. As I discovered this week, Letters of Note has a sub-genre you might call ‘Faxes of Note’. Here are some of my favourites. 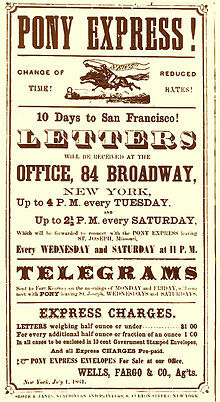 One day I will ask about using the Pony Express, I swear.